In Humor Me, a once-acclaimed New York playwright, Nate (Jemaine Clement), is struggling to finish his new play when his wife (Maria Dizzia) leaves him, taking their son. 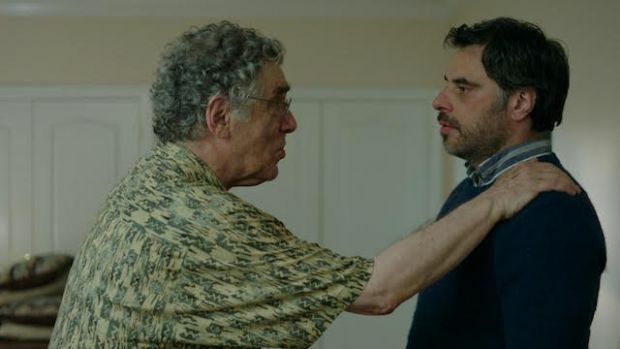 Desolate, broke and unable to pay the rent, Nate begrudgingly moves in with his widowed father, Bob (Elliott Gould), in his New Jersey retirement golf community. Bob’s jokes drive Nate crazy; Bob, in turn, thinks his son could benefit from some discipline. So he sends him to work for the home’s ex-Marine operations manager. On the job, Nate stumbles onto a theater troupe staging a musical. He agrees to help—but quickly realizes it won’t be easy to get these quirky senior citizens to cooperate. One of them, Dee (Annie Potts) is even trying to set him up with her daughter, Allison (Ingrid Michaelson). Things reach a breaking point when a video of one of Nate’s plays surfaces, opening old wounds for him and his father. Ultimately, the father and son realize they each have their own forms of storytelling and come to appreciate their differences. 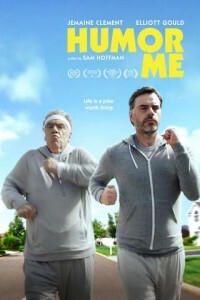 Written and directed by Sam Hoffman (Madam Secretary, Old Jews Telling Jokes), Humor Me is a coming-of-middle-age comedy fueled by charming characters and guided by the spirit of good jokes. This journey towards familial harmony and self-acceptance is full of laughs and senior moments. The film further explores using the healing powers of humor to deal with life’s setbacks. Inspired by Hoffman’s highly popular Old Jews Telling Jokes, Humor Me stars Jemaine Clement (Legion, Flight of the Conchords), Elliott Gould (9JKL, Ray Donovan), recording artist Ingrid Michaelson, Annie Potts (Ghostbusters), Bebe Neuwirth (Chicago), Priscilla Lopez (Law & Order: SVU), Erich Bergen (Madam Secretary), and Maria Dizzia (13 Reasons Why). In Abe & Phil's Last Poker Game, Dr. Abe Mandelbaum has just moved into a new manor with his ailing wife.